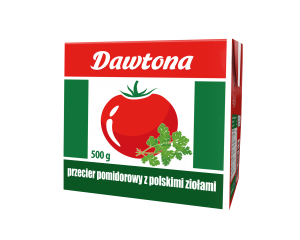 Tomato Puree with Polish Herbs is prepared from 100% Polish tomatoes and aromatic herbs: lovage and parsley! 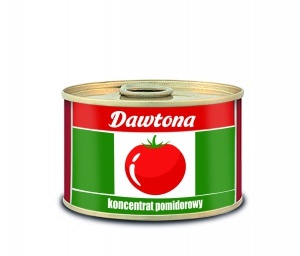 It’s dedicated to fans of traditional Polish cuisine and amateurs of delicate flavors. Due to the content of typically Polish herbs - lovage and parsley, it is particularly recommended for native Polish classic dishes. 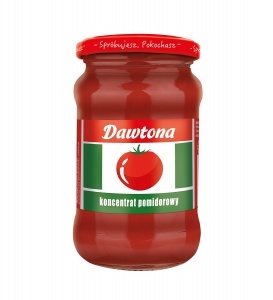 Great as a base for tomato soup, sauce for meatballs, fish and stuffed cabbage. 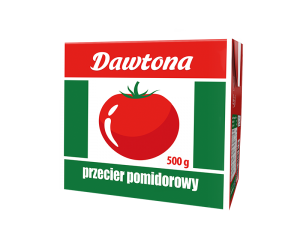 Product available in 500 g carton. 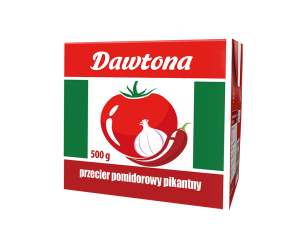 Spicy Tomato Puree is prepared from 100% Polish tomatoes with aromatic garlic and chili flavor. Spicy Tomato Puree is a treat for fans of more intense and expressive flavors. Excellent as a base for soups, sauces, pasta, pizza and meat course and vegetables. Pizza Sauce with herbs has been prepared for real fans of Italian cuisine and connoisseurs of world's most popular snack straight from Naples. It's an ideal base of all homemade pizza. 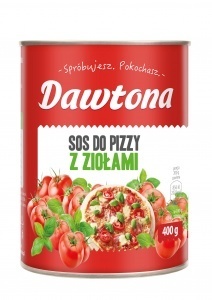 Simple (contains just a few ingredients: tomatoes, salt and herbs) and classic Pizza Sauce blends with all extras in fantastic way: meat, seafood or vegetables. To enjoy an unique taste of pizza, you don’t have to visit restaurant anymore! You just need pizza dough, ready-to-use Pizza Sauce and some favorite add-ons. A few moments and real Italian dinner is ready! 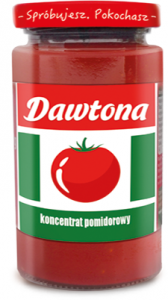 Our tomato paste has already gained cult status. 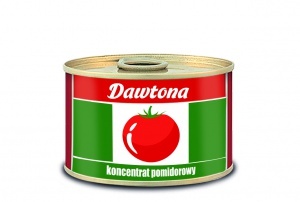 It is made entirely of ripe and plump tomatoes, without any additional ingredients. For years, it has accompanied us in the kitchen as an integral ingredient of many dishes and sauces, tomato soups, stuffed cabbage rolls or baked beans. 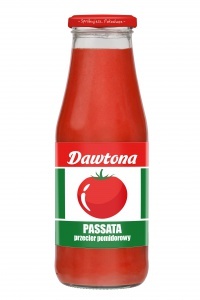 Delicate, creamy texture, tomato aroma and deep flavor – that’s our tomato passata. 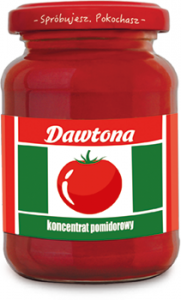 It is the ideal base for numerous tomato dishes, such as soups or pasta sauces. 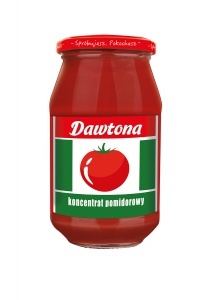 Perfect for roasting meatballs or saucing fish. Product available in 690 g glass bottles. 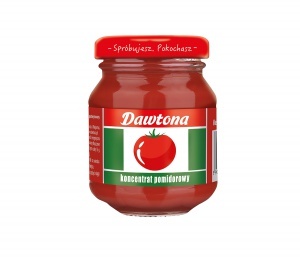 Our puree is produced from carefully selected tomatoes and contains no artificial preservatives. It is an excellent basis for many delicious dishes, an indispensable soup base and a perfect addition to bigos and other stews. Extremely light and low in calories, it is the perfect choice for the health conscious and the physically active.